Toshiba's new AR solution provides Document Viewing, Live Video Calls, See-What-I-See, Photo/Video Capture, Alerts/Messaging, Workflow Instruction and Barcode Scanning capabilities making it ideal for a variety of uses cases, including Maintenance, Remote Expert, Manufacturing, QA Inspection & Audit, Logistics, Training and Knowledge Transfer. As Toshiba's first enterprise-grade mobile wearable AR solution running Windows 10 Pro, the dynaEdge AR Smart Glasses seamlessly integrates into an organization's existing infrastructure and IT security. Toshiba's dynaEdge AR Smart Glasses comes with 6th Generation Intel Core M Processors, Intel HD Graphics and Intel Dual Band Wireless-AC 8260 802.11ac Wi-Fi. To complete the dynaEdge AR Smart Glasses solution, Toshiba will offer customers two software options-Toshiba Vision DE Suite and Atheer AiR Enterprise. Toshiba Vision DE Suite is the software engine designed to realize the essential functionality of Toshiba's innovative AR solution. For fast and easy navigation, device functions are grouped into three color-coded menu categories: Communications, File Viewer and Tools. From these three menus users can take photos, record and stream live video, save and retrieve documents, access diagrams, receive text messages and communicate through live video calls. This easy-to-use approach to navigating a robust solution elevates productivity and improves efficiency. In addition to a full suite of on-device services, the software offers IT manager and organizations with advanced synchronization and centralized device management capabilities. Toshiba Vision DE Suite reimagines productivity and efficiency for enterprises. 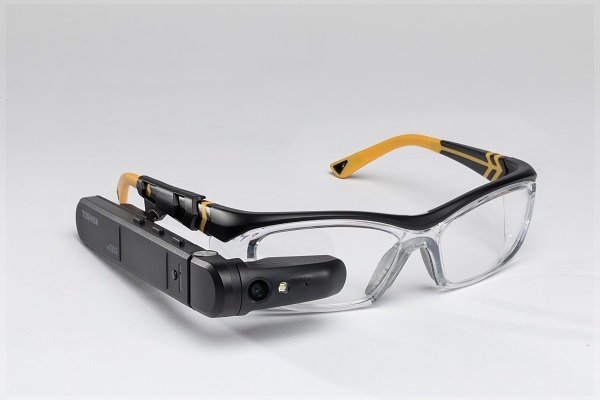 Available in the second quarter with a starting MSRP of $1,899.99, the dynaEdge AR Smart Glasses is offered in various configurations with processor, memory and storage options as well as developer's kits for different industrial applications. Hey, that’s pretty expensive!!! I guess there should have been copies of this model sold by piracy, that would be pretty bad for the company, unless they go down with the price!